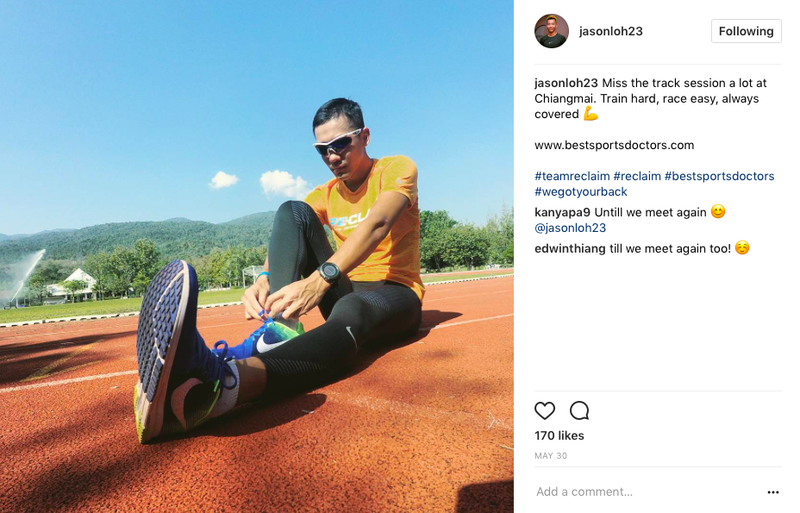 5 Inspirational Runners To Follow In Malaysia | JustRunLah! Get some inspiration from these fellow runners! They are determined, they are passionate and their Instagrams are full of inspirational stuff! We really like these famous five because of their passion and readiness to share. So get ready to follow them and be inspired! Why Follow Her? – This nerdy runner girl shows so much passion for her running. 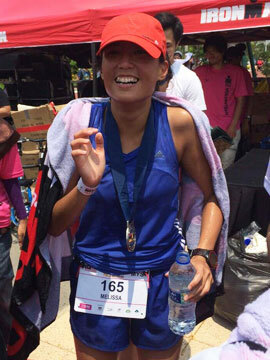 She is one of the nicest runners out there – encouraging all other fellow runners to give it their best as well. Follow her on her running journey which includes snippets of her cool kicks as well! Why Follow Her? 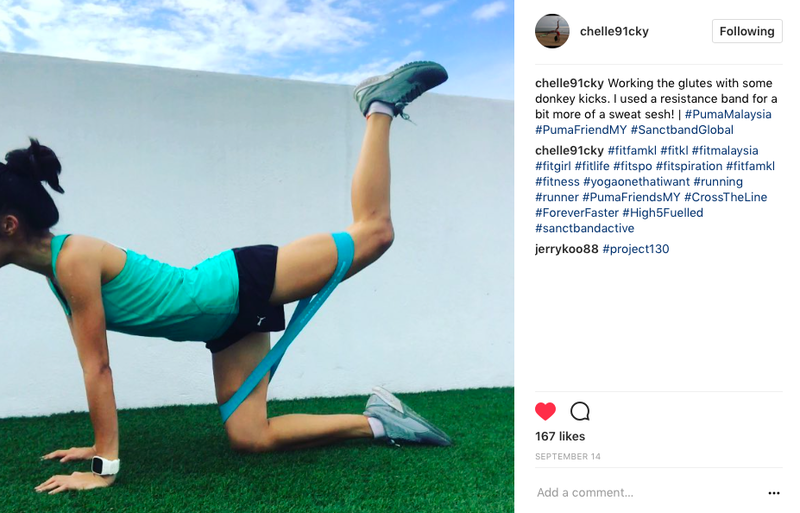 – Follow her on her fitness journey! She includes videos of her strength training and fitness advice we can all benefit from. Her photo diary of her food gets us all drooling as well. 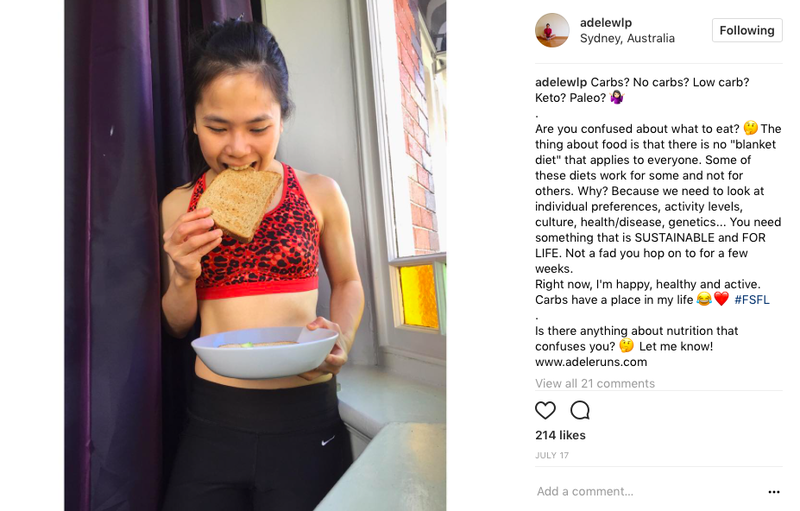 Her Instagram is everything interesting about fitness, food and travelling! She also gives really good life advice! An inspiring girl with big goals! Why Follow Him? 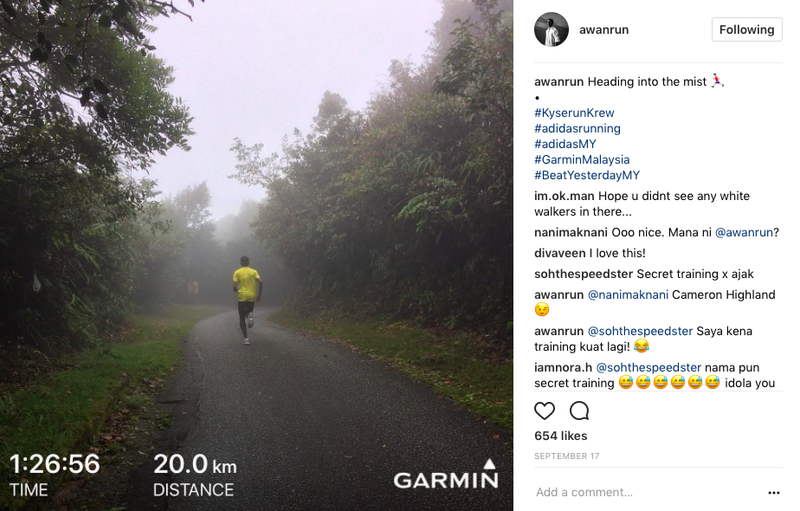 – Everyone knows Azwan is one of the most humble runners out there! His page is dedicated to everything running. It ranges from snippets of his training, to what he does when he is down with an injury, to what fuels him during his runs! His page is a true insight to what is a dedicated runner! If you ever need any advice, he is more than willing to share! Why Follow Him? – His races and training takes him so many places! We love seeing his photos – from the tropical sunny Philippines to his training right smack amongst casinos in Macau. He has so many amazing stories to tell and we can’t get enough! Why Follow Him? 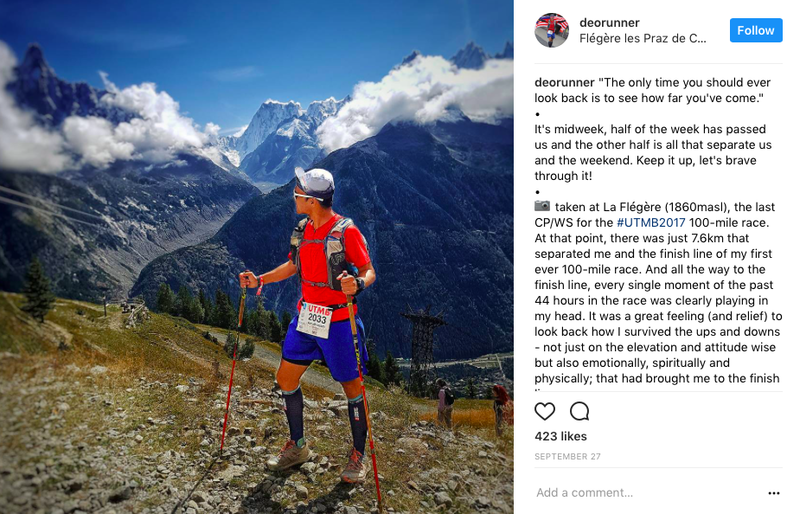 – His ultra races takes him all around the world! 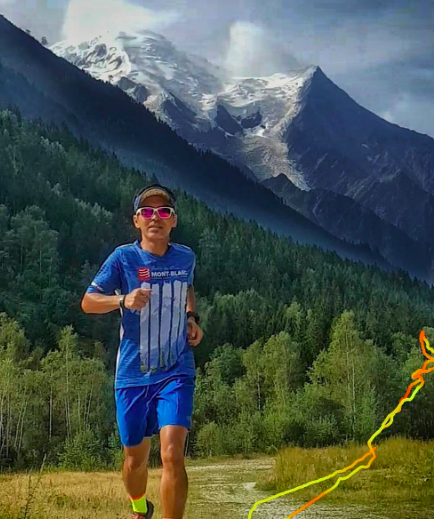 He travels from the Swiss Alps to the French Alps to all the beautiful mountains in Malaysia – he showcases them all to all his followers. You would be inspired to pick up trail running just looking at his awe-inspiring photos!